I agree Miocic should be the favorite, but -250 sounds crazy to me. Even Jones wasn't such an huge favorite, and i think Jones is a much harder fight. I think Holloway will beat Ortega. Ortega has only won by finish so far, But Holloway is probably one of the hardest guy to finish in the UFC. Iron chin, infinite cardio, incredible hearth. Maybe he can lose to a sub. I don't get why Cormier went for this fight to begin with. 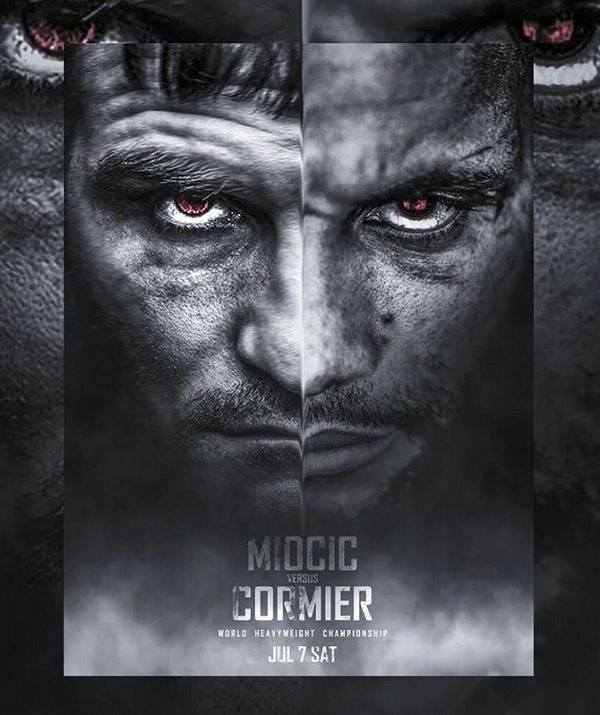 I get the legacy stuff and potential of getting the titles in the heaviest weight classes, but a KO by Miocic could also potentially end his career... Miocic has an insane TDD (the last time he was taken down was vs JDS when he lost) and will exhaust Cormier enough to KO him. DC already said he's for sure retiring from MMA in March 2019. Aside from this fight with Miocic, DC said he plans to get 2 more fights in before he retires: a fight around November, and one in March. At this point, it's all about legacy. Aside from winning the UFC heavyweight belt and becoming the second person to hold two UFC titles at the same time (only other guy is Conor McGregor), as well as a rematch against Jon Jones, he has nothing left to fight for. I dont remember if it was Rogan or another commentator/fighter that said that whenever anybody was talking about retirement before a fight is going to lose, and whoever said it was right. You're right. However, those people are never on win streaks (I can't think of anyone who was winning and wanted to retire aside from GSP). People who talk about retirement are people who are losing. Cormier is the Light Heavyweight champion + 39 years-old + still has 3 fights left in him (Stipe fight is included). I expect Cormier to be 100% prepared mentally and physically for this fight. and GSP also lost his last fight before reitrement, at least everbydoy else besides the judges think so. But yes Cormier is way more professional than the avg fighter and it probalby doesnt weight as much on him, but you can bet that he had way much more drive when he was preparing for his rematch against Jones than now that is looking past the HW fight. He still expects to fight Jon Jones again! If i had to bet on those 2 fights, i'd bet the same as you. I think Cormier is rightfully the dog but +250 is a bit insane. Stipe hasn't truly been tested against a strong Wrestler. And Cormier's standup is deceptively good. Holloway is a bad stylistic matchup for Ortega imo. I believe Ortega's only chance is a sub, but i think max will die in there before tapping. At -135 i love a bet on max. I just heard that Max is off the card. UFC didn't sat if Ortega will stay on the card, but it's unlikely that he'll get a replacement fight on a few days notice. Cain won1st round pretty well then gassed due to altitude and then lost. Cain gassing goes against his type of fighter he is known for amazing friggin cardio and pressing always. Unfortunately the altitude messed with him very hard there. Cormier is the toughest opponent stipe is fighting against ever and the only one who is truly elite level fighter I really think stipe has fought against a ton of has beens. Btw is any fight moving to Main Card ? It didn't look like a trip. It looked like when your leg/knee hurts and you put too much weight on it.